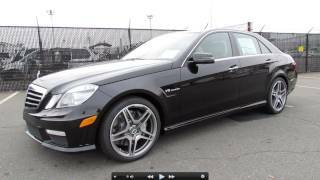 The Mercedes Benz E63 AMG 2012 is more powerful and efficient than ever before. 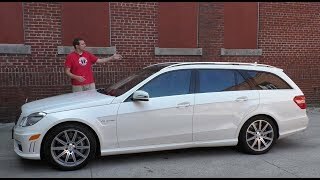 Featuring the impressive 518 HP 5.5-liter V8 biturbo engine, the E63 AMG accelerates from 0-60mph in mere 4.4 seconds and has a top speed of 155 mph. The 2012 MY E63 AMG goes on sale in the US this Fall. 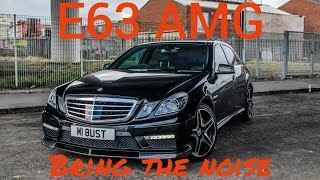 The E63 AMG is now even more powerful and efficient. As part of the "AMG Performance 2015" model strategy, the high-performance EClass now features the new 5.5-liter V8 biturbo engine. Familiar from the 2012 CLS63 AMG this new engine can produce either 518 hp or 550 hp, together with an impressive reduction in fuel consumption - 22 percent less based on the European driving cycle. Also responsible for improved fuel economy is the newly developed electromechanical AMG speed-sensitive sports steering system which only draws power during steering wheel movements. The 2012MY E63 AMG goes on-sale in the U.S. this Fall.